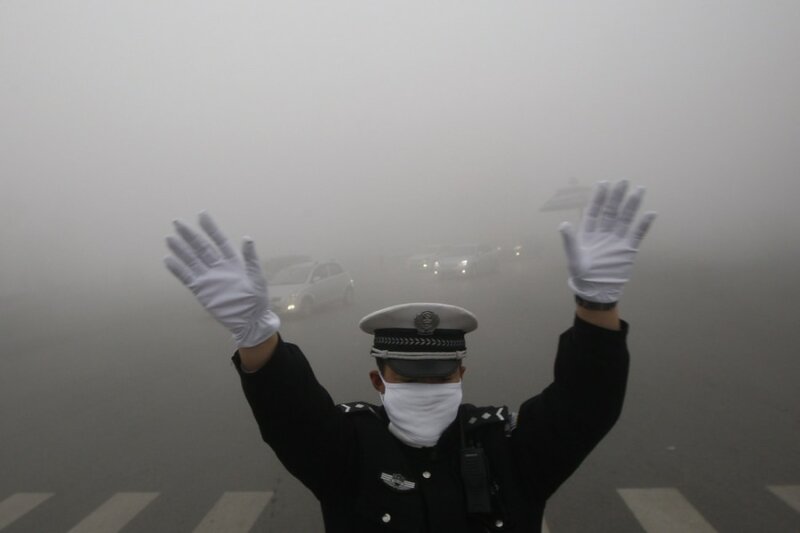 A traffic policeman signals to drivers during a smoggy day in Harbin, Heilongjiang province, on Oct. 21, 2013. Choking clouds of pollution blanketed Harbin, cutting visibility to 33 feet and underscoring the nation's environmental challenges. An index measuring PM2.5, or particulate matter with a diameter of 2.5 micrometers, reached a reading of 1,000 in some parts of Harbin, the gritty capital of northeastern Heilongjiang province and home to some 11 million people. A level above 300 is considered hazardous, while the World Health Organization recommends a daily level of no more than 20. 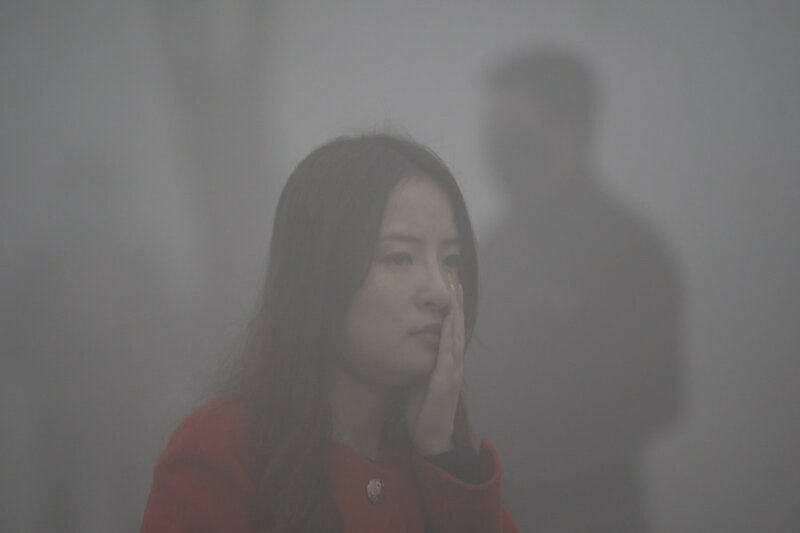 The smog not only forced all primary and middle schools to suspend classes, but shut the airport and some public bus routes, the official Xinhua news agency reported, blaming the emergency on the first day of the heating being turned on in the city for winter. Read the full story. 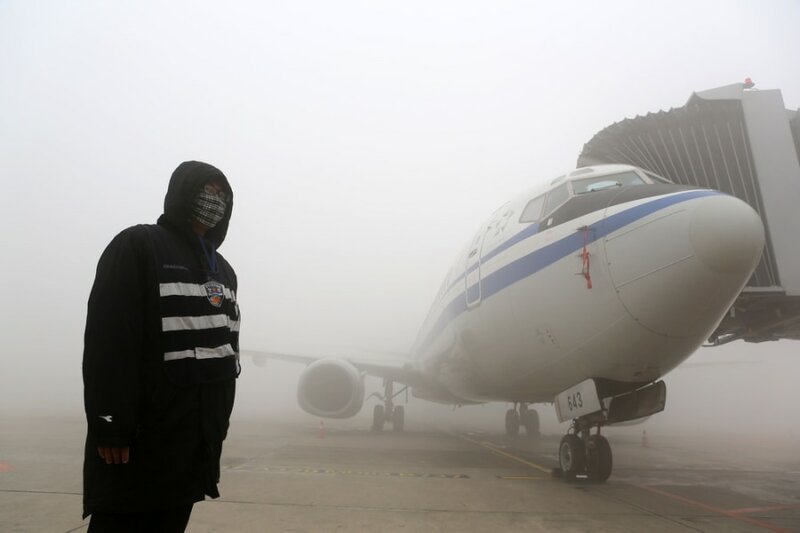 A man stands next to an airplane under heavy smog in Harbin.